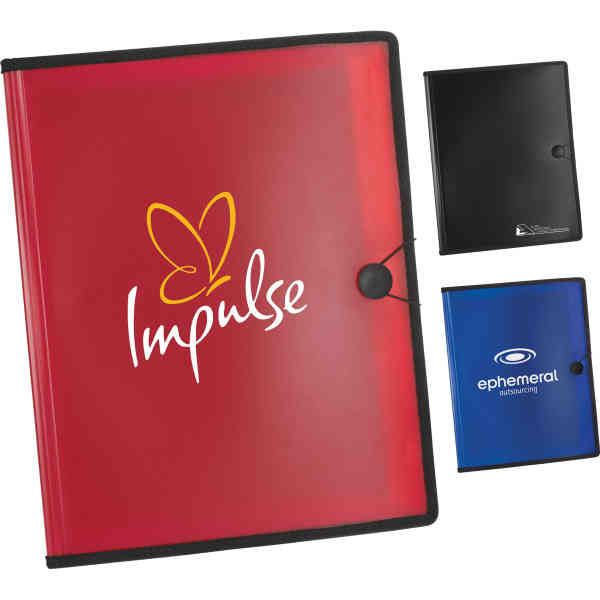 Imprint Method: ColorPrint - The Plastic Padfolio features a refillable, 30 page ruled notepad and includes a translucent cover with black trim and an elastic closure. Notepad size: 8" x 11.5". It also features an interior pen loop and a clear file divider with 2 business card slots and 2 CD pockets. A pen is not included.